Does your Android a battery hunger? If yes, then how to stop it from eating your battery’s life? This is not funny. The wrong management of application, low-quality processor, high-performance setups are the main reason behind low battery life. Do you charge your phone many times a day? Then no one is miserable as you. Do you want to extend your battery life? That doesn’t mean you need to change your battery or put a larger battery on your phone. You need some right tips and tweaks to your phone, that’ll definitely increase your Android battery life. I am going to share some battery hacks with you, which I am using on my Android. 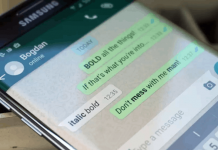 This tips, and tweaks are both for Smartphones and Tablets. 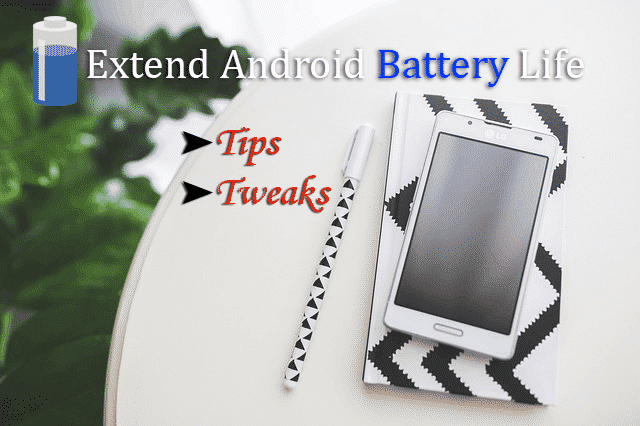 Let’s know how to extend android battery life. 1) Reduce the brightness and don’t use adaptive or auto brightness. Low brightness helps to improve battery life. The auto brightness feature, automatically controls the screen light which is higher than you required. So, set it manually. 2) Use dark wallpaper and dark theme. Dark screen display only useful with AMOLED screens to extend battery life. AMOLED screen only illuminates the colored pixels. If your mobile has darker pixels, then the less battery, you need to light them up. 3) Disable notifications that you don’t need. Notifications are always popup in your screen. So, turn them off which is not useful for you. You can control them by going Settings>>Sounds & Notifications. 4) Reduce the auto-lock time to the minimum possible value. Set your display screen timeout to as short as possible. Don’t set it in minutes, set it to seconds. 5) Turn Off Bluetooth and Wi-Fi. If you are not using your Wi-Fi and Bluetooth, then turn them off. It is not necessary then don’t use Bluetooth peripherals; they also eat battery. Vibration is helpful in street noises to inform you about the calls and messages. Don’t use it all time. It also decreases the battery life. 7) Don’t use auto synchronization. Auto Synchronization feature, automatically synchronizes the apps data with the app server, which needs background process and mobile data. Turn them off by going Settings >> Accounts and click on a particular account to off them manually. Here are some tweaks which I am following to increase my Android battery life. Some are for a rooted device, and some are for un-rooted. In every Android device, there is a Developer options, which is usually hidden in many devices. Go to your Phone’s setting >> About and tap three times on Build number to unlock the options. 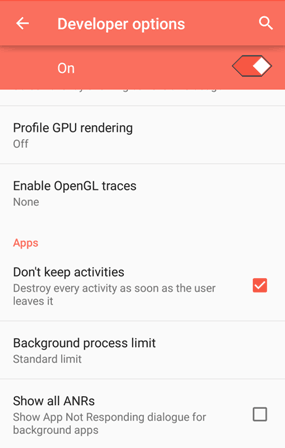 Here is the detailed process with screenshots to Decrease Animation scale and Background process limit, which not only extend your battery life but also increase your phone’s performance. An Android phone or tablet comes with many preinstalled apps like Gmail, Google+, Movies, Games, Hangout, etc. You never use many of them, but they run frequently in the background which decreases the battery life. 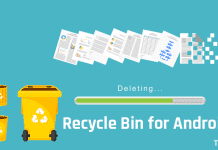 Here is the detailed post, how to disable Android apps without uninstalling them. For a non-rooted device, you can only disable preinstalled apps, but with a rooted device, you can disable any application. After terminating an app, it doesn’t close quickly. It takes some time to close, which also decrease the performance and battery. 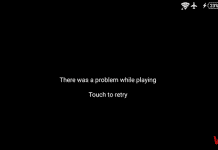 There is an official way to kill your Android apps, as soon as you leave them. Go to Developer options and in the Apps section tick the “Don’t keep activities” option. That’s it. Every Android device has an inbuilt power saving function, which helps to extend Android battery life. If your battery is draining quickly, then you can activate it by going Settings >> Power management >> Battery usage then use the option button to open Battery saver. Just turn it on. 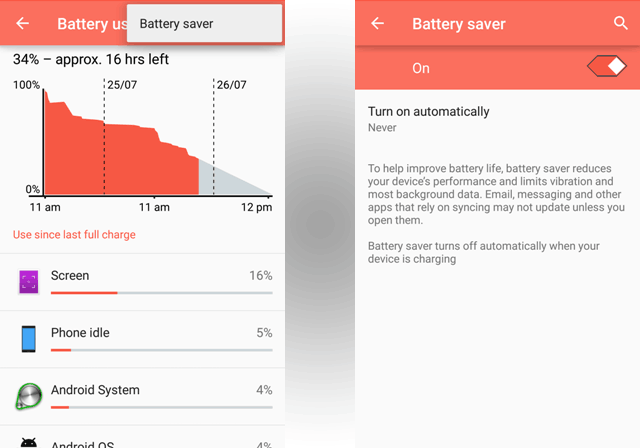 Third-party battery saving apps help to extend Android battery life. Here is the list of best Android battery saving apps, you can use them as your requirement.